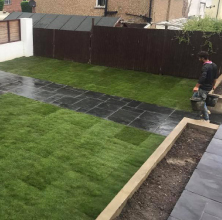 The garden of your dreams can become a reality a lot sooner than you think (and probably for a lot less than you imagine) if you trust your garden landscaping to Elite Pave. 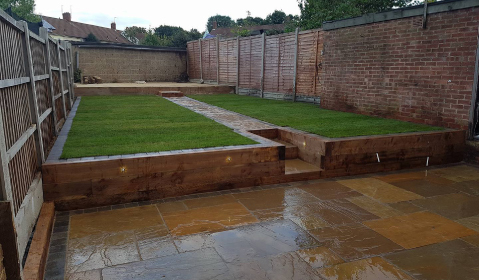 Whatever the size of your garden, whether it is flat or sloping, long and thin or short and wide we can provide you with great ideas that will transform it. 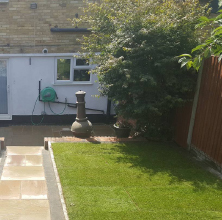 You can select from a wide range of materials to suit whatever you require for your garden and be confident that we will install it professionally and with great attention to detail. We lay shed bases, supply and erect sheds, lean-tos and greenhouses and can run exterior mains power outlets safely to wherever you require. 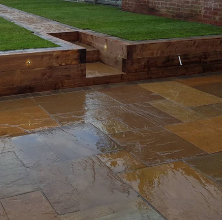 We design and build decorative walling and steps for sloping gardens and can also supply and install a wide range of fencing and matching gates. 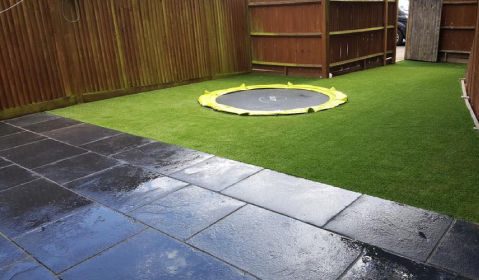 For that finishing touch we will supply and lay any top soil and turfing needed. 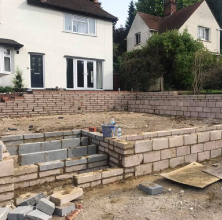 Brett Approved and Bradstone A ssured: all our work is to the approved British Standard. We have nearly 200 positive Trust A Trader reviews.